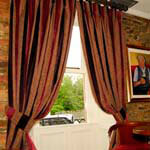 Sunset Creations, based in Dundalk Co. Louth, is the perfect port of call for all your window dressing requirements such as bespoke curtains, roman blinds, blinds, co-ordinating wallpapers, poles etc. We provide full measuring, making and fitting service. Browse our showroom where we have extensive collections from houses such as Prestigious Textiles, Chess Designs, Woods and Watkins and many more. With exciting choices in poles ranging from 11mm to 63mm there’s no window that can not be accommodated. 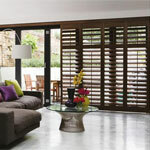 If you crave inspiration then a visit to your home by our highly experienced staff to discuss your vision is a must!